In Need of a 4/0 Welding Cable? So, what is welding cable, anyway? Here at EWCSWire, we take pride in our advanced knowledge of every product we sell. That way, you can contact our excellent customer service and leave the conversation both pleased and informed. Since our inception in 1994, we’ve dedicated our business to supplying wires and cables to those who need them. We ship fast and make sure that your products reach you in a timely manner, most products getting to you within two to three days after the initial purchase. That’s what makes us a reliable name in wires and cables and that’s what makes us your go-to for a 4/0 Welding Cable. Welding cable is cable that is used as an electrical conductor for a welding current. Our welding cable is made of the highest quality materials to ensure minimal wear and tear and optimal functionality. It’s composed of 100% copper inside of a high quality synthetic EDPM rubber insulation that is resistant to both sunlight and water. These cables are incredibly flexible, so you can reach those frustrating areas in closed spaces without worrying about damaging the cable. We sell these cables in a wide variety of sizes with the option to create special orders. We want to provide the easiest experience and service for our customers, and that’s what makes us the best source for all of your wire and cable needs. When you’re purchasing your welding cable, you need to think about the type of cable that would be best for the job. The experts at EWCSWire can help you find exactly what you need, and if you don’t need any help, our site is easily navigable. You’ll be able to find the exact cable that you’d like through a simple search. As we all know, a shorter cable has the ability to carry more current than any longer cable of that same diameter. Think about the application of the cable before making your purchase. We know that people make mistakes and that’s why we are always happy to accept your return of standard cables. Whether you need 2 gauge or 4 gauge, we have all of the necessities in stock to ensure that our customers find what they’re looking for. Feel free to browse our selection of cables and wires and you’ll see that our site contains all that you’ll ever need for any electrical projects. 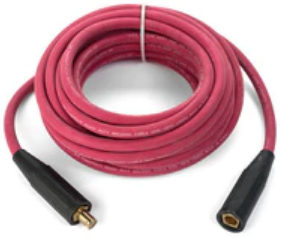 Whether it has to do with repairs on a boat, or a simpler project, you’ll be able to find a cable that can withstand the elements that you face with your task. We don’t just depend on quantity, either. Our cables are crafted by the best quality materials around, and we stand by that. And, you can count on your cable being manufactured in the USA. 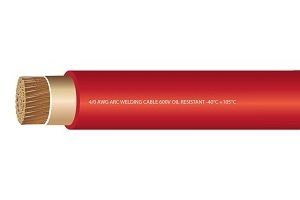 When you need a 4/0 Welding Cable, you’ll find the best possible one on our site. So, come check out EWCSwire.com and contact our expert staff for any of your wire and cable needs. Need heat shrink tubing? We’ve got it. Need marine cables & accessories? We have an entire section of the site dedicated to them. Customer service is an absolute must for any business. That’s why we pride ourselves in our expertise and knowledge of our products. Visit our site today and see how we can make your life easier. Being a technician, let alone an electrician, is an extremely tough job. There’s no one but you to make sure that the job is done correctly, and having that kind of responsibility can be quite stressful. On top of that, the fury of a client who can’t comprehend the fact that your toolbox doesn’t contain every necessary part for a job is nothing short of terrible. Instead of facing that client’s anger, it’s important to be prepared for any job, and always have a solid connection to parts that you might need to obtain quickly. For any job that requires parts you aren’t in possession of, EWCSWire has the equipment you need and delivery speeds you crave. There’s nothing better than having all of the equipment that the job entails at your hands, whenever you need it. That’s the kind of environment that EWCSWire has set out to create, and you’d be hard pressed to find a better place for your cables and wires. No matter what you’re looking for, you’ll be able to find the best version of it on their site. Need a 4/0 welding cable? You’re in luck! They’ve got the best welding cables around, no question. What makes EWCSWire so amazing? Their history. You’re looking at a business that’s been in operation since 1994. That’s almost 25 years of the best possible service available to electricians all over the country. They make sure to include incredible shipping policies, and all orders ship within 24 hours of purchase from one of their facilities. Orders are shipped on weekdays only and, unless you’re located more than three days or further away from one of their several facilities, you’ll receive your order within two to three business days. That’s the kind of fast service that makes you and your customers relieved and your job easier, which is the only goal that EWCSWire has. So, looking for a 4/0 welding cable? You got it. Looking for a fire alarm cable? You got it. Need a marine cable or wire to finish the job? You’re looking at the right place! No matter what you need, EWCSWire has your back. They also have the highest quality cables and wires, so you can depend on them to make sure that your job is done correctly and avoid faulty equipment. Faulty equipment can lead to dangerous situations, especially when dealing with something as important as a fire alarm, so why risk utilizing lower quality material? Instead, rely on the fantastic products that EWCSWire dishes out. One thing that sets EWCSWire apart from all other businesses is their absolutely impeccable customer service. You really won’t find a company that cares as much as they do, and that’s saying something! If you have any question or concern about the products that you see, or you think you could benefit from something that you don’t see on their site, feel free to reach out! The experts at EWCSWire can point you in the direction of the best product for the job and help you understand the application. That’s called quality service and that’s what you can expect from EWCSWire! When you’re looking for wires and cables, EWCSWire can surely help. EWCS stands for Electric Wire and Cable Specialists, because that’s who they are. The people at EWCSWire really know their stuff about all the different kinds of wires and cables—their uses, accessories, and what safety requirements need to be met in order to be useable. Whatever type of wire or cable you need, EWCSWire has the stock and the knowledge to help you get everything you need. EWCSWire even has a selection of alarm cables, whether you need security alarm cables or fire alarm cables. But it’s important to be aware that when shopping for these kinds of cables, there are important safety guidelines that make each type of wire different. These cables have been put to the test to ensure that they meet certain standards. EWCSWire offers security alarm and fire alarm cables that adhere to the codes that qualify them for a plenum rating. Plenum is the name given to any space in a building designed to facilitate air circulation. This often refers to the space between the architectural ceiling and the drop ceiling or the structural floor and the raised floor of a building. Cables that run through this part of a building require more protection in case of fire. Because of the ventilation that occurs within plenum spaces, smoke accumulated there can spread more quickly than it would otherwise. Cables that have met the requirements to receive a plenum rating have a fire retardant outer jacket and are designed to be not only resistant to fire, but also to generate very little smoke. Standard cables, insulated with PVC, would smoke heavily, emitting HCl into the air. This would be especially dangerous in a high-circulation area. For that reason, the National Fire Protection Agency created the requirements for plenum-rated cables. These cables are tested repeatedly and rigorously to comply with these strict NFPA standards. Risers are in a similar position as plenum spaces. They don’t facilitate airflow, however there are requirements in place to ensure safety in these spaces. Risers are areas that allow for access between floors in a build. For example, an elevator shaft is a riser space. While a plenum-rated cable can do the job of a riser-rated cable, they’re generally more expensive. Riser-rated cables don’t have to meet as many requirements as plenum-rated cables do, but they do have to meet NFPA set standards. In order for a cable to earn a riser rating, it must meet a test to ensure that it doesn’t allow for the spread of fire. Basically, if this wire catches fire, that fire should not be able to spread along the length of the cable. This is important in riser spaces as it can mean the difference between a contained fire and a fire that has spread over multiple floors. When you trust EWCSWire with your cable and wiring needs, you can be sure that your security or fire alarm cables are meeting all the safety standards prescribed by the NFPA. After all, these alarms are there to protect you and the building. In order to fulfill that duty efficiently, they must be safe to use. To see the selection of electronic and instrumentation cables EWCSWire proudly offers, refer to their website. Are you looking for reliable wire or cable? Then you need EWCSWire, your electric wire and cable specialists. EWCSWire is the first place you should visit for your wire and cable needs. Established in 1994, EWCSWire has acquired nearly twenty-five years of customer satisfaction. The wires you’ll receive from them are American-made and designed to be durable and suited for individual needs. They have a wide range of sizes, allowing their clients to choose from a variety. Whatever you’re looking for, EWCSWire is at your service. If you have questions regarding any product from EWCSWire, they will help you to the best of their ability. After all, the folks at EWCSWire are specialists. They are skilled experts in the field of wiring and cable. When you work with EWCSWire, you have the luxury of knowing your products are in the hands of people who know the ins and outs of electric wire. If you’re looking for 6 AWG wire, for example, EWCSWire can offer that gauge in aluminum or copper wire. 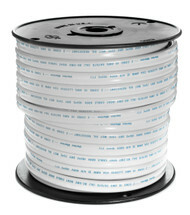 You can find 6 AWG XHHW stranded aluminum wire that can be used in conduit or recognized raceways. These can be used in wet or dry locations, as long as temperatures do not exceed 90 degrees Celsius. This wire is available in three lengths. You can also find this gauge in XLP use stranded aluminum wire. Also usable in wet or dry locations, this wire is made to be used in secondary distribution circuits, installed in duct or burial applications. While there are three common sizes available, EWCSWire can cut this wire to a specific size as per your needs. If you’re looking for copper wire, you’ll find what you’re looking for at EWCSWire. 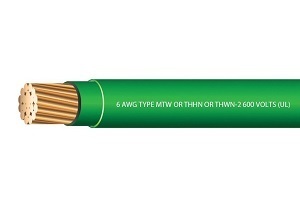 You can find 6 AWG solid soft drawn bare copper wire in four lengths. Useful in a residential, commercial, or industrial application, this American-made wire is highly conductive and is always available at EWCSWire. This wire is available in a stranded option or a solid option. I’m simply using 6 AWG wire as an example of a popularly searched product to demonstrate the kind of variety you’ll find when you use EWCSWire for your wire and cable needs. However, this certainly isn’t the extent of this variety. There’s a huge array of wires and cables you’ll find here. Best of all, no matter what you get from EWCSWire you’ll be receiving a product that is dependable. Whether you’re looking for copper wire or aluminum wire, you’ll be happy to know that your order will be handled with care. EWCSWire also offers wires and cables designed to serve specific purposes. If you’re looking for fire alarm or security cables, you’ll find them here. EWCSWire sells electronic and instrumentation cables that meet NFPA regulations. 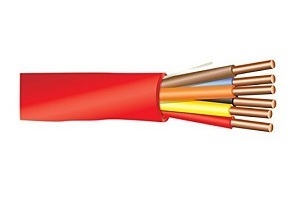 They have plenum rated cables as well as riser rated cables to ensure that all safety standards are being met. 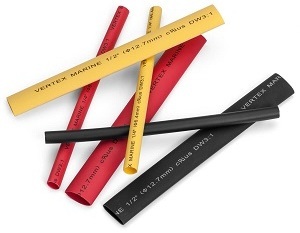 EWCSWire also stocks marine cables for your marine electrical needs. All of these cables are UL approved. You’ll also find an impressive selection of welding cables designed to handle high currents. All of these products are made in the USA with care and skill. To find the wire you need, visit EWCSWire online and browse their impressive stock for yourself. Electronic cable specialists flock to EWCSWire because they know that we’re the absolute source for all professional cable & wire needs. This is not to say that only pros can shop on our site, but it is to say that professionals choose us to due to the high quality of our products. Something that we’re absolutely proud of is the constant flow of business that stems from an incredible inventory that includes the best of the best. No matter what your job is, whether you’re an electrician or any sort of technician that needs to use cables and wires for your project, you’ll find exactly what you’re looking for right at EWCSWire. That’s why electronic cable specialists choose us over other businesses; we’ve got the tools that it takes to make your job easy. So, no matter what your background, you’ll have a field day sifting through the vast selection of cables and wires and cable and wire accessories that are available. If you’re looking for a submersible pump cable, you’d be hard pressed to find a better one than on our site. Since all of our cables are rated at either 300 Volts of 600 Volts and made to the appropriate standards either UL or SAE approved, you’ll know that your project has the materials it needs to succeed. Not only this, but you know that your materials will get to you in no time. If there’s one thing that EWCSWire does better than our products, it’s our customer service. That includes an incredible delivery speed that is unmatched by any other business. Unless you live 2-3 days outside of one of our several facilities, your delivery will get to you within 2-3 days after the purchase. That’s what we call customer care! If the job simply can’t wait, we’re the people to turn to. We also send out specialized and custom orders, but these are non-returnable. No matter what you need, EWCSWire has got you covered. Variety is important, and we understand that. That’s why our selection is extensive and includes wires and cables for all sorts of applications. If you’re installing a new alarm, even a fire alarm, we’ve got the cables necessary to back your purchase. We’ve got every aluminum cable that you can imagine, including an Aluminum Triplex of your choosing. All of this might sound too good to be true, and doesn’t that say something about the industry? It’s such a hassle getting your supplies from so many different places and searching for the best prices. Luckily, you’ve just found all of the best prices on the best products in one spot. Since 1992, we’ve been delivering fantastic customer service to customers around America. All of our cables are made in the United States, so when you buy from us, you pump money right back into our economy. We’re here for the working electricians and technicians around the country who need that boost of support to get them through their day. If you have any questions about our products or what might be best for your current project, feel free to contact us. We’re always here to help. Boats, ships and anything that spends time in the water can be notorious for electrical problems. After all, water is one of the most damaging things for electronic components and engineers have labored for a long time to solve problems. These days, it is simpler than ever to maintain the electrical system of your boat, but when something does go wrong, you need an expert to help you identify the problem and make sure it can be fixed in a safe and effective way. When it comes to boat battery systems, cables will need to be replaced from time to time. The number one enemy of boat battery cables is corrosion. Corrosion occurs when exposure to elements affects the copper cable degrades it over time. Using Heavy Duty Tinned Copper Lugs and the proper Double Wall Adhesive Lined Heat Shrinkable Tubing help eliminate this process and higher quality cables will also be tin-plated to ensure they are able to resist this factor. There are a few simple things you can do to check your boat battery and boat battery cables to ensure they will last. First, listen to your boat. The sound of a dying or struggling battery is an unmistakable weak start that will clue you in if something is going wrong. Make sure to keep your ears open every time you start your boat and look out for the signs. Take the time to bend your cables as well. If they flex smoothly, you are good to go, but if they crackle and are stiff and resistant, you may need to replace them. Any cable that behaves this way is likely the source of your problem. Be sure to check your voltmeter as well. If you are putting out more than the specified amount, you are in danger of overheating and damaging your boat battery. Use common sense and if you see that you are outputting too much voltage, run more tests to identify the problem. Learn how to test your battery as well using a multimeter to measure the resistance. Too much resistance means you are on a course for trouble. Take the time then to identify the source of the issue and resolve it before you damage your boat. When it comes to boat battery cables, batteries or any other boating electronic components, we are here to serve you. At EWCSWire, our experts are ready to help you with any electronic issue your boat may encounter and get you back on the water as soon as possible. Find the highest quality cables in a variety of gauges and colors to get your boat up and running as quickly as possible. With our years of knowledge and experience, we can help you identify your problem and get you back to fishing, sailing, or relaxing in a snap. Any sort of technician knows that they cannot complete their tasks without the correct tools and accessories. That includes the items that they’re installing; without a pipe to work with, what exactly is the plumber supposed to connect to your sink? Moments arise where the items required for the job are not available, and this can be incredibly frustrating for both the technician and the client. Sure, there are just some things that you can’t prepare for. If a job requires an unusual cable or wire, it’s unlikely that you’ll have one on hand. However, for the jobs that require a common cable and wire that you work with daily, it would be silly to not come equipped with this item. Whether you need to fill up your arsenal to better ready yourself for any project, or you’ve come across a project that requires a unique item that you need to order fast, EWCSWire has got you covered for all of your electrical wire needs. No matter what you’re looking for, we’ve been servicing technicians across the country since 1994, and we’d like to think that we’ve gotten quite good at it. Through EWCSWire, you can find all the electrical wire and cable that you’ll need to get the job done, and get it done right. Although we do not ship on weekends, we try to make sure that all of our weekday deliveries arrive within two to three business days. That’s to make sure that you can create a fast experience for your customer just as you experienced from us. We can even cut wire and cable into small lengths to fit specifications for projects. If you look through our site, you’ll notice that we carry a diverse portfolio of products, all for you to choose from. We want to accommodate service technicians of all sorts, and that means carrying the variety necessary to do so. If you work with boats or aquatic projects, check out our marine cables and wires. Installing a fire alarm for a school or office building? Well, that means you want quality. Fire alarm cables are no joke; a faulty one can create serious problems that can even be fatal, and that’s why we carry the highest quality you can find. No matter what cable you’re looking for, you’ll find the prestigious and durable products you need for incredible prices at EWCSWire. As is with any industry, customer service is an absolute necessity. We’re sure that you’ve experienced an unhappy customer and immediately wanted to improve; it isn’t a great feeling. EWCSWire has worked hard to create a service that caters to our customers and provides them with maximum comfort and quick delivery. We want your purchasing experience to reflect our commitment to our products and our customers, and we intend to make that happen in any way that we can. Don’t hesitate to contact us with questions about the best wire or cable for a job, or products that you want to express interest in. When it comes to customer care, EWCSWire does it best! If there’s one thing that’s sure in the world of electrical supplies, it’s that you’ll always find yourself out of supplies just when you thought you had enough for a current job. With the diversity to be found in the shape, structure, and styling of residential, commercial, and industrial building plans, you can never fully know exactly what you’ll need before you get your hands on-site. With that in mind, there are some steps you can take when stocking up that will help ensure you’re the most prepared you can be. This guide will help you stock up on electric wire cable before every job, so you can get to work stress-free. No job will go smoothly if you can’t tell your wires apart from one another. Not only will uniformly colored electric wire cable make the job at hand more difficult, but it will also make future repairs considerably more difficult. 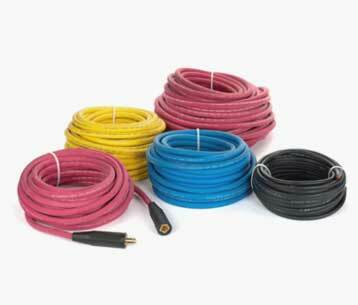 Make sure you plan to have multiple colors of cable on hand before every job. You’ll thank yourself when you discover your job goes faster and easier than if you’d been without them. In the preparation process for any wiring job, it’s easy to lose track of how well your electric wire cable will fit in the spaces you have planned for it. Because the type of cable insulation you need for each job is such an important factor, many people overlook the fact that tougher insulation means less flexibility. If you’ll be working in tight quarters with limited space for laying cable, you could find yourself unable to flex heavily insulated cable in the way you need to. Make sure you know the types of cable insulation that are appropriate for the space you’re working in so that you can have a range of options. Buying highly-insulated wire for a location that doesn’t require it could cost you more money and make laying the wire more difficulty. There’s almost nothing worse than getting halfway through a job only to discover that you don’t actually have all the wire you need. There are all kinds of unpredictable factors that can serve as an obstacle to a particular job. For example, if you’ve measured out 25’ of electric cable wire in advance, but you encounter a beam in between your starting point and your destination that you hadn’t accounted for, you might find that your cable comes short of the final connection in your circuit. To avoid this, always make sure you have more cable on hand than you initially predict. You can always shorten a cable, but lengthening one just isn’t realistic or practical on the job site. If you’d like to learn more about electrical supplies, wires, and specialty cables, EWCSWire is the place for you. Whether you’re looking for welding cables, alarm cables, or marine system wires, you’ll find that you’re in good hands. Contact their professional team today!